It’s about time we had some more unusual art on here. A while ago I posted about artist Willard Wigan who micro sculptures can only be viewed through a microscope (tiny worlds between heartbeats) I contrasted the micro art with the work of Hyperrealist sculptor Ron Meuck whose gigantic realistic sculptures have a unerving quality about them. A new art form has been emerging from China over the last few years. The process called leaf carving, involves careful precision, as the artist scrapes the outer layers of the leaf, exposing an almost transparent surface. The leaf veins are left intact to give stability to the sculpture. The leaves preferred by artists are from the Chinar tree, which is native to India, China and Pakistan. The leaves are considered to have ‘lucky’ qualities and resemble maple leaves and are best suited for sculpting owing to the distribution of their veins. Each carving can take months of careful work. But once finished, preserved and framed, the finished art should last decades. From minute leaf sculpture to these 3D leaf sculptures. the news may be a couple of years old, but it’s news to me:-) Apparently a mystery artist left leaf sculptures along the water of Leith, Edinburgh in the autumn of 2010. One of the figures was dressed in green wellies,and a flat cap. 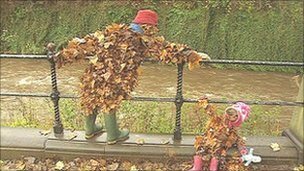 Next to it, two charming leaf children clung to the railings. 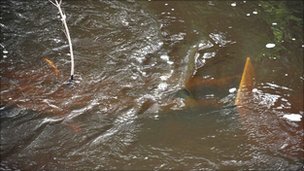 The Leith river seems to have provided inspiration for Anthony Gormley too. You would think that life-sized cast iron figures would last a little longer than leaf ones, but two of Gormley’s six figures apparently fell victim to the Scottish and were pushed over by heavy tide. Art officials have insisted that the figures were ‘designed to be tipped over’ Art lovers thought the sculptures had been stolen. Leith locals had taken the sculptures to their hearts, donning them with bikinis, Y-fronts and even a MacDonald’s uniform! 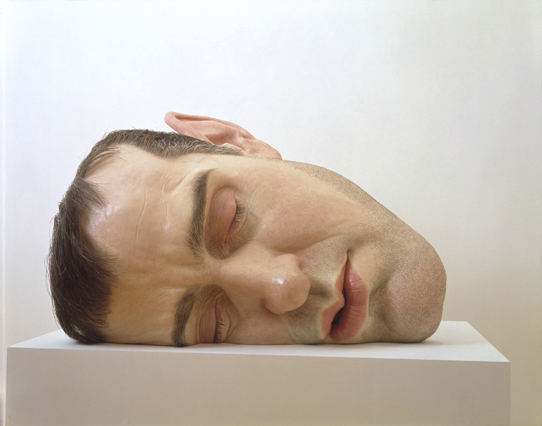 This entry was posted on March 15, 2012 at 12:47 pm and is filed under ART, ART VIDEOS, SCULPTURE with tags antony gormley, ron mueck, SCULPTURE, willard wigan. You can follow any responses to this entry through the RSS 2.0 feed. You can leave a response, or trackback from your own site. 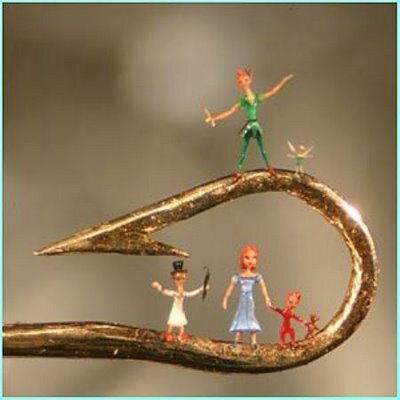 Have seen micro sculpture done on pencil tip lead. Astonishing. Astonishing work. I like the leaf figures, now I know what to do with all the flippin’ leaves that cover our garden! Those Meuck figures are unnerving. Yeah good idea Wendy:-) a bit of glue, a mold or two – and hey presto! they showed some Mueck at our city gallery – they really are unerving too, very realistic indeed! Mueck’s “unnerving” large human sculptures is a perfect way to put it. I have to admit I stare at every single one of them for the longest time, however. I don’t know if I am describing my feeling about them very well but there is a human chord inside me struck whenever I see them. Perhaps it is just that they suggest the human condition so strongly. The leaf sculptures are so delicate! Thank you for sharing them, Lynda.